Proudly locally-owned and operated, we bring you the best in fresh. Excellent customer service is more than a tagline to us, it's our way of doing business. We're proud to offer complimentary grocery packing services, assistance to your vehicle (just ask! ), and a range of special services. When you're shopping with Lloyd Co-op, you're part of our family. Deli meats cut the way you want them. Try one of six deli gourmet sandwiches! - In-Store Roasted Turkey Sandwich - Enjoy this luscious sandwich packed with fresh in-store roasted turkey breast, baby spinach, creamy Havarti cheese, grilled artichoke, oven roasted red tomatoes, finished with Co-op Gold garlic aioli. - In Store Roasted Beef Sandwich - Beef lovers, unite! This sandwich is chock-full of roast beef, peppery arugula greens, stone ground mustard, and delicious provolone cheese. - Pork Cuban Sandwich- Take a bite of in-store roasted pork loin, maple cured ham, crisp dill pickle, Canadian Swiss cheese, stone ground mustard, and delicious provolone cheese. - In Store Roasted Carving Ham Sandwich- Take a bite of this delight, filled with fresh, in-store roasted carving ham, sweet red pepper, baby spinach, and creamy Havarti cheese. - Fig and Prosciutto Sandwich - Sweet and salty... yes, please! Enjoy sweet fig spread, fresh mozarella cheese, peppery arugula, and perfectly salted layers of prosciutto. - Italian Sandwich- Delizioso! Layers of Genoa salami, thinly-sliced mortadella, capocollo, and creamy provolone cheese unite with a layer of tasty peso basil and roasted red tomatoes. Homestyle Fried Chicken- Made with 100% Canadian chicken, and zero trans fats, our crunchy Homestyle Fried Chicken makes a great meal. Hot Buffet- Lunch and supper to go, what more can you ask for? Just $1.99 for 100 grams, we offer delectable meals each day, including our popular Ukrainian Feast (perogies, sausage, and more), turkey dinner with the trimmings, and more. Cold Salad Bar- Customize it just the way you want it. Just $1.99 per 100 grams, there are an array of veggies, nuts, meats, and cheeses to satisfy any craving you've got. Heat 'n' Eat- Supper is done, and in a hurry! Check out the extensive array of Chinese food (including ginger beef, shanghai noodles, chicken fried rice, and more) and east Indian specialities (pakora and samosas to name a few) avaiable in the deli showcase. Fireside Bistro- Enjoy a steaming cup of coffee while your loved one shops, or sit for a spell and savor a hot lunch or supper in our new fireside bistro. Our creative team of food experts have come up with options that we know you’ll love. Delicious stuffed mushrooms, fresh lemony-garlic shrimp, and stuffed pork loin are only a few of the options that you can simply throw in the oven, bring to the table, and then wait for the compliments to pour in! Or, maybe you're feeding a crowd and want to serve a wide range of delicious fresh nibblies. Our custom-made meat trays, vegetable trays, fruit trays, cheese trays and "nibbler" trays (pickles, olives, and other salty bites) are perfect when you're hosting a party and have many paletes to satisfy. Our produce department carries a stunning array of potted plants, succulents, fresh cut florals and balloons, perfect for gift giving. Seasonal centerpieces, themed boquets, and memorable gift-ready items are always on rotation, so check the selection next time you're in our Lloyd Co-op Marketplace. For an update on what's in stock, call our produce team at 780-808-8338 ext 107. Download the Co-op app! It's the best way to find a Co-op location closest to you, redeem valuable coupons, shop the flyer, and more! Click here to start downloading. Remember, it's FREE! Custom created just for you, our lucious baskets make a wonderful gift idea. Choose from a range of hand-selected fresh produce, meat and cheese, or non-perishable items such as specialty teas, coffees, and other refreshing beverages. Ask our Produce Department for full details, or call 780-808-8338 extension 107. We're honoured to be the FIRST grocery retailer in Lloydminster to offer Caroline's Cart to our members and customers. The cart provides parents and caregivers a viable option to transport a child through the store while shopping, saving them the impossible task of maneuvering a wheelchair and grocery cart at the same time. Caroline's Cart is available for complimentary use at Lloydminster Co-op Marketplace. Only the best for you and your loved ones. Fresh from the oven, we have an assortment of whole grain breads, buns, and other healthy options. Got a sweet tooth? We’ve got the best cream-filled donuts, pies, muffins, cookies, and cakes in the city. And that’s not a title we’ve given ourselves. We’re proud to be setting the standard among our peers as carrying the biggest variety, the freshest product, and the most unique offerings. Tender, juicy, flavourful cuts of meat. 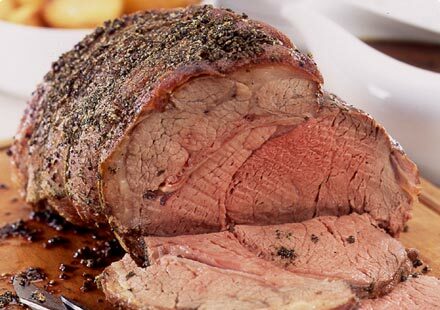 Sizzling steaks, roasted chicken, juicy ham, tender roast beef... your mouth watering yet? Our Meat Department has set the standard in the city for customer service, quality, custom orders, and product offerings. We’re proud to offer prime cuts in beef, chicken and pork. We also do customized orders based on your special preferences. Give us a call today at the Marketplace Meat Department at 780-808-8338 ext 108. A wide range of choices for you. 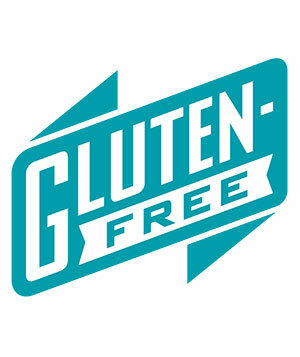 We are proud to carry a range of gluten-free and gluten-friendly products in each division of our store. Specialty items include sugar-free, organic, and vegan options. If you're looking for a custom gift basket or food tray, and you'd like gluten-free products, please ask when placing your order. We're more than happy to assist. It doesn't get any fresher! We’re proud to offer a wide variety of the freshest products, and all at a competitive price. Our focus is on having the best in produce, including a variety of locally grown options when they’re available. Something our Produce Department is proud of is our pre-cut, pre-portioned fruit and vegetable packages. These are designed to provide you with convenience, freshness, and will help ensure no food waste.